The worst car I have ever owned – HubNut – celebrating the average! Unsurprisingly, I have owned some pretty dreadful vehicles over the years. The exceedingly tired Bond Equipe I saved from the scrappage scheme is a good contender. 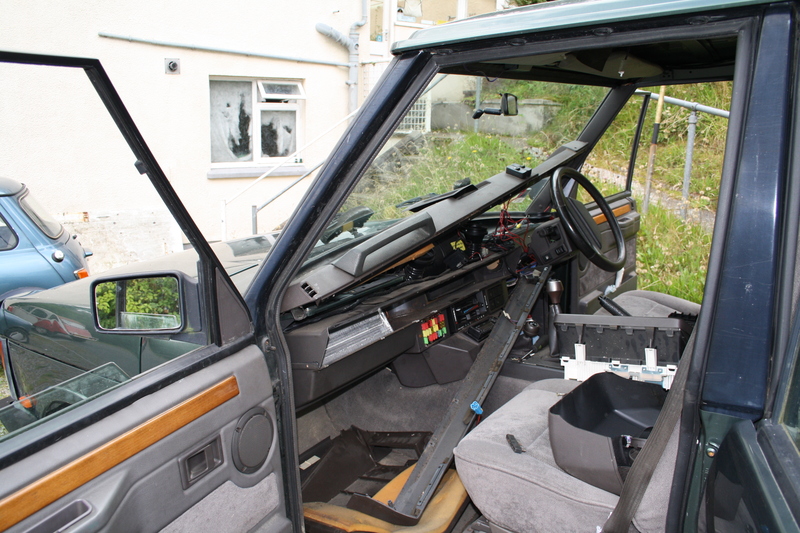 The Range Rover where someone had butchered most of the wiring loom is another. Both cars had some good points though. Incredibly, this is not the worst car I’ve ever owned. In terms of most expensive car, that’s either the Daewoo Matiz I bought new, and sold for half its new value 18 months later, or the Peugeot 306 where the finance for the Daewoo AND the subsequent Subaru Impreza were all merged into one horrendous finance package. Jeepers. I really was rubbish with money back then. Or there’s the Rover P6B, which I bought from a dodgy dealer for £2000, spent £2000 welding up, then sold for £1700. SUCCESS! However, it was a most marvellous machine that I still miss to this day. A thoroughly British Citroen DS, but with a V8. What’s not to love? All I can say is that it’s a good job I was a ridiculously well paid IT Project Administrator at the time. But amazingly, I don’t think there’s one car I’ve owned that hasn’t had at least something I liked it about it. With one exception. 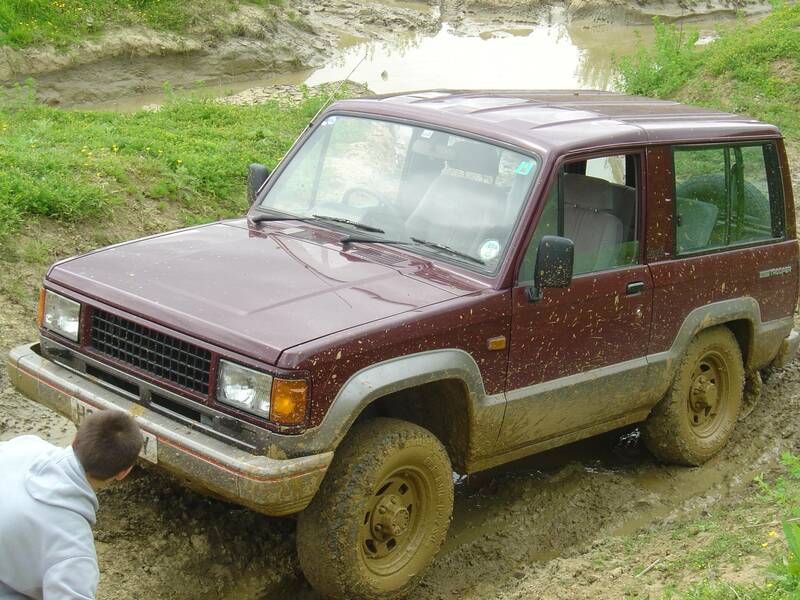 That vehicle is the Isuzu Trooper 2.8TD Mk1. A hopeless vehicle, hopelessly stuck. It was a vehicle that didn’t do anything well. The ride was horrific. It had recently had new rear leaf springs, but I did wonder if they had simply been replaced with girders. The engine was hopeless, with a power band about 500rpm long. That was a problem, because the gearbox was rubbish too, with an enormous gap between second and third that meant that often, neither gear was the right one. It needed a two and a half. If you had the temerity to try and hustle it on the road, as I did once running late for an airplane (the last time I caught one – 2005), then it was outright terrifying. It handled with all the aplomb of a hippo in a shopping trolley. Over cobbles. It did have a ridiculously good turning circle – akin to a Triumph Herald – but its off-road ability was badly compromised by an almost complete lack of suspension travel. The independent front suspension was great for tight turns, but the ground clearance was poor, and the wheels couldn’t move down far enough to get you out of trouble. It was hopeless. So, as there’s not much point living with the downsides of an agricultural off-roader if it can’t off-road, it was swiftly sold. I was thoroughly disappointed. Perhaps Land Rover really do make the only 4x4s that matter. Of course, my Ford Maverick persuaded me otherwise, and also revealed that an independent front suspension is no handicap! It was so much better than the Trooper. While sure, it didn’t exactly drive like a small hatchback, neither does a Land Rover. The Maverick felt like the off-roader I’d wanted the Trooper to be. I did consider a later Trooper Mk2 at one point, actually a Bighorn (what a name!) import, but that also felt very dismal to drive, hampered by a power-sapping automatic gearbox (mind you, a 2.5-litre Pajero auto is no quicker!). Still, the Mk1 Trooper remains the one car I wish I hadn’t bother to own. Oh well. It’s not until you own a car than you often get to really know what it is like! I chalked that one up to experience.